A postcard of the Amerika, mailed from the post office on board the Amerika, circa 1909. Art by Hans Bohrdt. 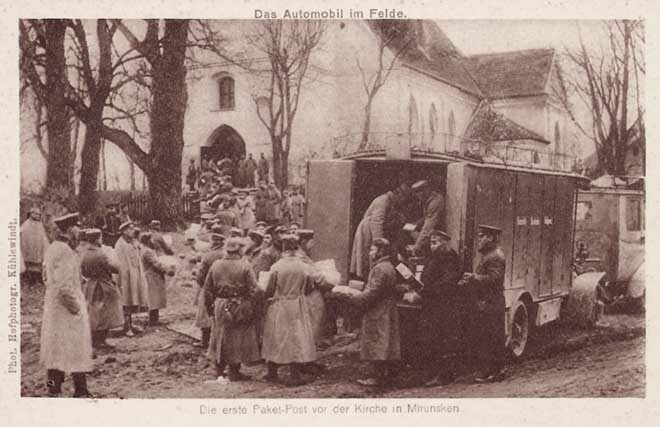 Postcards and a print of the Protestant church in the village of Mierunsken when it was used as a field post office for letters and packages going to German troops on the Eastern Front, circa 1915, during World War I. 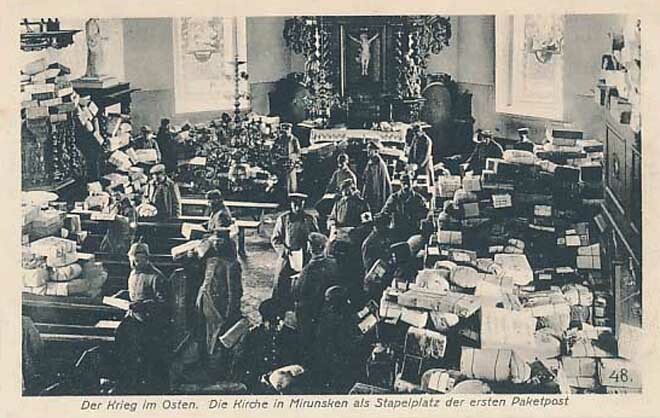 Although looted by Russian troops later in the First World War, the church managed to survive until 1945, the last year of the Second World War. 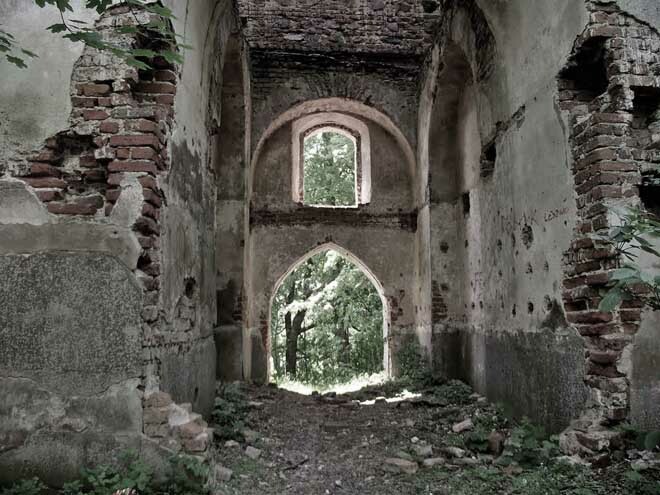 Today, what once was the village of Mierunsken in East Prussia is the village of Mieruniszki in Poland. And what was a church and a post office is a ruin. 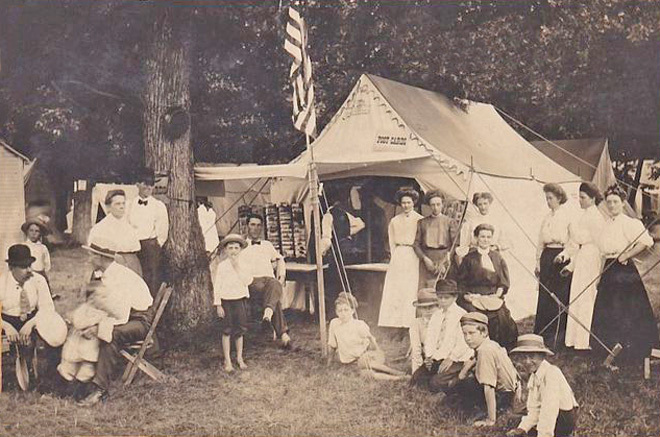 The post office tent at the Columbus Junction, Iowa, summer Chautauqua, 1909. 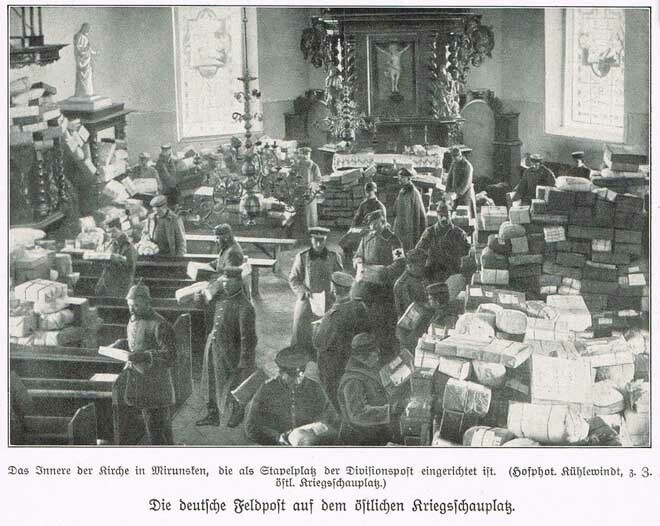 Note the rack of postcards for sale. 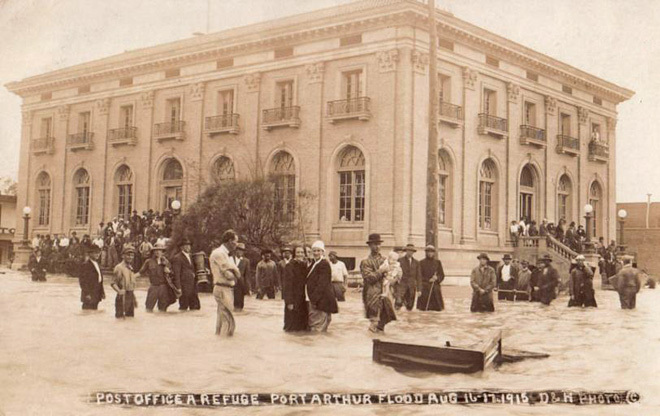 Port Arthur, Texas, was flooded by the Hurricane of 1915 which hit the Gulf coast the night of Aug. 16th-17th. The wind forced the waters of Sabine Lake into downtown Port Arthur, and reversed the course of the Neches River, which turned and ran upstream. Port Arthur is also remembered as the birthplace of Janis Joplin. 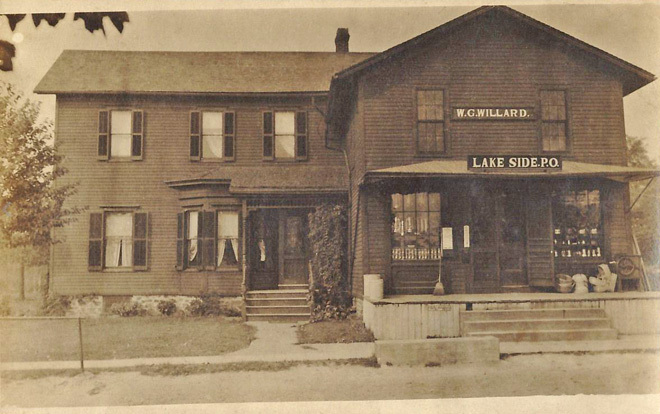 On the shores of Lake Ontario, north of Batavia.